The rising focus on implementation of safety standards, norms, regulations in the construction sector, which across the globe is increasingly seeing the usage of technologically advanced equipment and construction methods, has led to vast changes in the way key operations are undertaken. Especially during nights or on dull days, the use of light towers, the tall, often mobile, structures fitted with non-glare electric lights, is becoming a norm across the world. This welcome trend has opened vast growth opportunities for the global light tower market and the number of companies entering this segment as well as the variety of products entering the global market have picked up pace. The rising focus on the implementation of employee safety regulations and norms in industries such as construction and mining are the key factors driving the global market for light towers. The rapid pace of introduction of new product varieties, with energy-efficient lighting and higher fuel capacities, are also driving the market. However, owing to the largely unorganized nature of the market, with local and regional vendors dominating high-potential regional markets such as Asia Pacific, international players find it difficult to expand their consumer base. While international players are required to follow strict international standards, local players need to adhere only to regional standards and enjoy the advantage of local production. The scenario makes it difficult for international players to compete with local vendors, restricting their growth opportunities. Diesel-powered light towers are presently the most commonly used light towers in key end-use industries, chiefly owing to the easy availability of the fuel, ease of storage, high reliability of diesel-based generators. Longer running times of diesel-powered light towers also make them the primary choice across a number of applications. Although rising pressure from environment conservation bodies is driving the increased adoption of solar-powered light towers, the unreliable power supply from present-day solar power technologies will help the diesel-powered light tower segment retain its dominance over the report’s forecast period. As infrastructure development projects are spreading into deeper interiors in rapidly urbanizing emerging economies such as India and China, the demand for light towers with large fuel storage capacities is on rise. Owing to the rising demand from contractors for products with large fuel capacity, manufacturers are increasingly producing machines of more than 100 liters capacity. 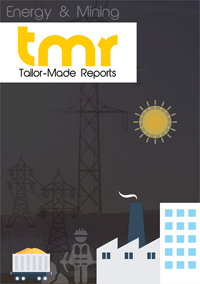 From a geographical perspective, the market for light towers has been examined in the report for regions such as Asia Pacific, North America, Europe, and Middle East and Africa. Asia Pacific is presently the leading regional market for light towers. The region has witnessed consistent growth in the fields of infrastructure development and real estate in the past few years and the construction industry continues to see strong growth. Employee safety regulations in the region are become increasingly stringent, helping the market for light towers to pick up pace. The market for light towers is expected to thrive in the Asia Pacific region in the next few years as well, thanks to sustained demand from the construction and infrastructure development sectors in emerging countries such as Malaysia, Taiwan, China, Indonesia, India, and Taiwan. The global market for light towers is dominated by few international players, which continue to hold a considerable share in the overall market, especially across developed economies in regions such as North America and Europe. In developing economies such as India and China, the market is largely unorganized, featuring the dominance of regional or local vendors. Realizing the vast growth opportunities, international players are slowly entering these unorganized markets through mergers, acquisitions, and establishing supply networks. Some of the leading vendors operating in the global light towers market are Generac Holding, Inc. (U.S.), Wacker Neuson (Germany), Atlas Copco (Sweden), and Terex Corporation (U.S.).